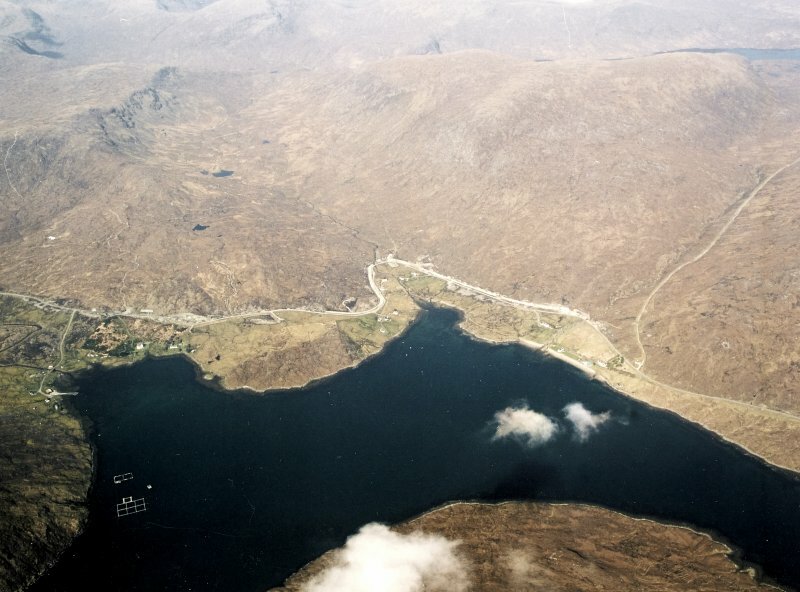 General oblique aerial view looking across Ardvourlie and Vigidale Bay, along Glen Vigadale, taken from the SE. View from E of E facade, with front door. 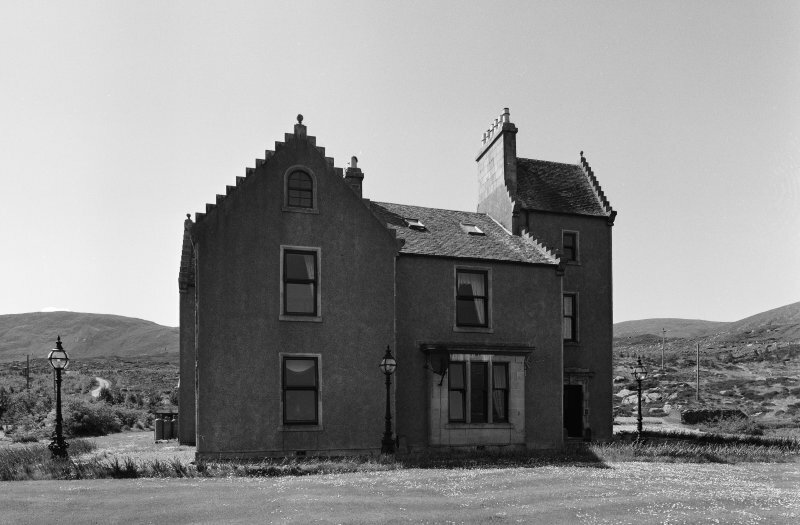 Ardvourlie, 1863 Another of the Earl of Dunmore's shooting lodges, situated on the ice-carved shores of Loch Seaforth. An asymmetrical group of crowstepped blocks arranged about a saddleback tower, it holds its own resolutely against the mountainous backdrop of North Harris.